The RCH Foundation raises money to enable the hospital to provide the best care for its patients and their families. We enable the hospital and its campus partners to pioneer research and new treatments, providing state-of-the-art equipment and supporting leadership. To review the RCH Foundation 2013/14 Annual Review, visit http://bit.ly/rchfiog. 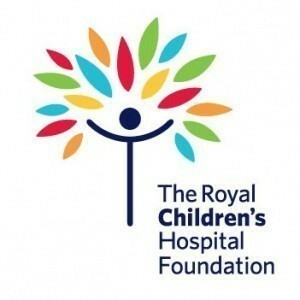 The RCH Foundation was established 25 years ago to fundraise, manage and distribute funds, to provide continued support to the hospital in its ambitions. The RCH Foundation’s focus is helping the RCH improve the health and wellbeing of children and adolescents through leadership in healthcare, research and education. However, our work not only affects the patients that stay at the RCH, but the families and loved ones that join them on their journey through the hospital. Online — RCH Foundation website, Facebook and Twitter; Publications — RCH Foundation annual report, Impact of Giving, and monthly enewsletter. Gifts in wills or bequests are a vital part of our income at the Foundation and a wonderful way to leave a lasting legacy that changes the future of children’s health. For more information, please contact Giovina Cicchitti, Corporate Engagement Manager at 03 9345 4507. There are a number of ways to support the hospital. From workplace giving and regular donations, to Cuppa for Kids tea parties and marathons, the possibilities are endless. For more information, visit the Get Involved and Donate sections of our website. If you’ve got a tried and true or innovative idea on how to fundraise for the RCH Foundation, visit the Get Involved section of our website. The RCH Volunteer Service has been operating since 1961 and received strong community support. For more information on becoming an RCH volunteer, visit rch.org.au/volunteers.